While everyone knows that trials in life are unavoidable, some people still dream of and hope for a carefree life without hard times. I’ve heard the words, “It’s not fair” and “Why me?” more than I can count. When people have a victim mentality, they can easily miss the growth opportunity that is part of a struggle. Expecting trials in your life is a way of realistically admitting that my life will not be perfect and that there are things out of my control. When we embrace these realities, it’s easier to drop the pipe dream of an easy life and invite the growth opportunities a struggle can bring. This way of looking at it helps you fight a victim mentality and look toward hope in the future. 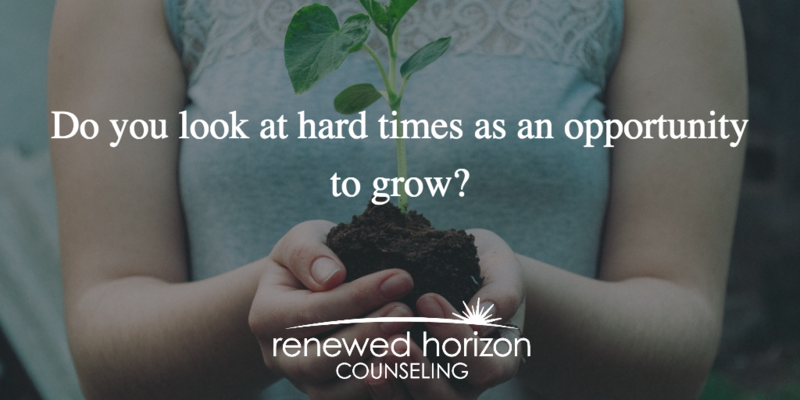 Regardless if there is one isolated trial or a whole series of them, the testimony is true for most of us that through a hard time we can grow. Maybe you learn something new, face your fears, or like most of us, realize how much you need God’s strength to get you through. Hard times should bring us to a place of brokenness that strengthens our faith and keeps us holding tight to Jesus’ hand each step of the way. What is this trial exposing in my life that I need to work on? How is this struggle strengthening my faith and reliance on Jesus? What growth am I seeing already because of this hardship? I pray that you see the hope in your trials and that you know you are not alone in it. You have a choice to be a victim or to hold this struggle as something that has purpose and meaning to refine you and your faith. I pray you use each hardship in life as an opportunity to grow. What ways have you grown from struggles in your life?